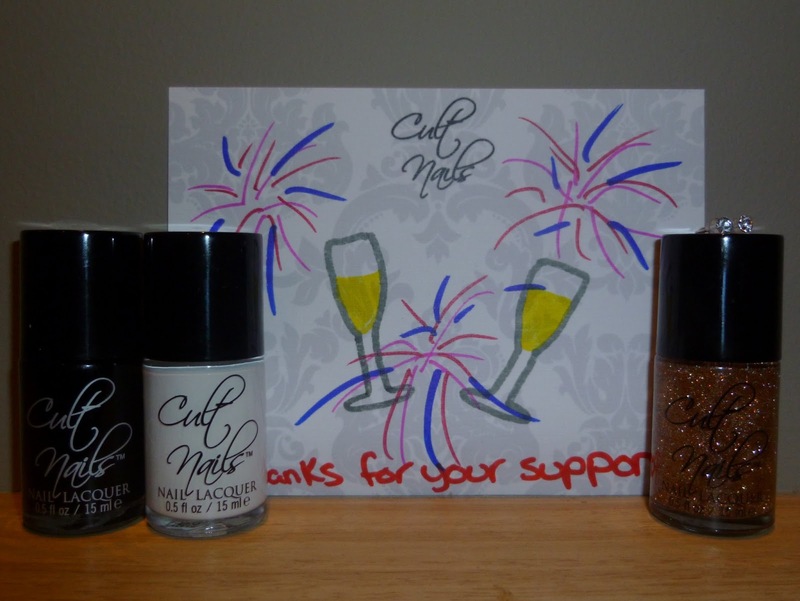 I purchased their 2nd Anniversary Special Collection which consists of Fetish (a wax finish black polish), Tempest (white creme polish) and Blaze (a gold and copper polish). I also picked up Bitten and Blackout in this order! Notice something about the card behind? Here it is with the special release collection. I am definitely floored by their actions and obviously this collection. Now to figure out which of these polishes I should try first! OK. 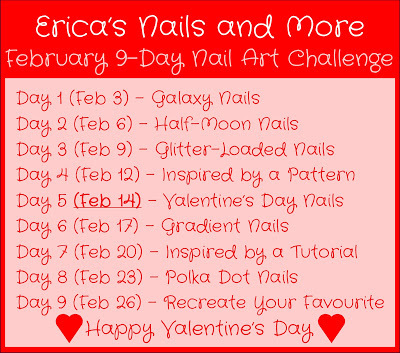 It seems that I didn’t read the rules properly and missed out the last day that I was supposed to send a request to Erica to take part in her challenge. Oopsie! Owh well, Since I have already done a few designs, I shall continue with the challenge whether or not I am linked with the other wonderful ladies. 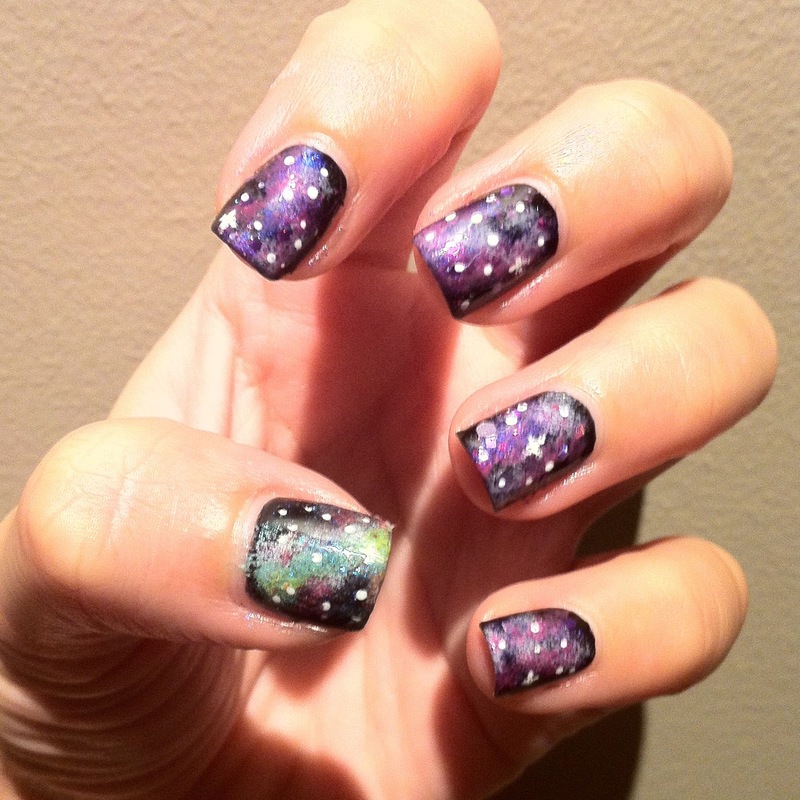 Galaxy nails. 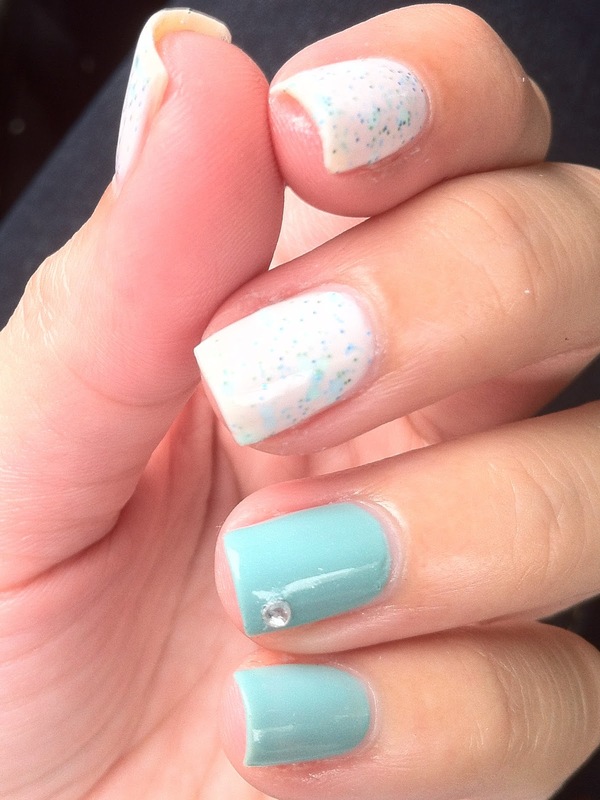 One of the many nail art techniques I was crazy scared to try. 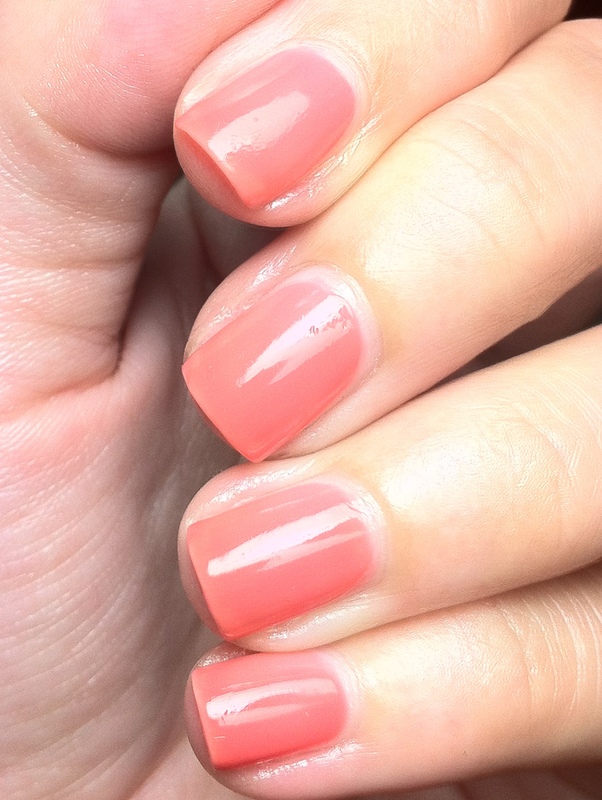 I always loved to see them on other nail bloggers but was afraid that I will never be able to do it as nicely or perfectly. Well, I guess I was wrong! 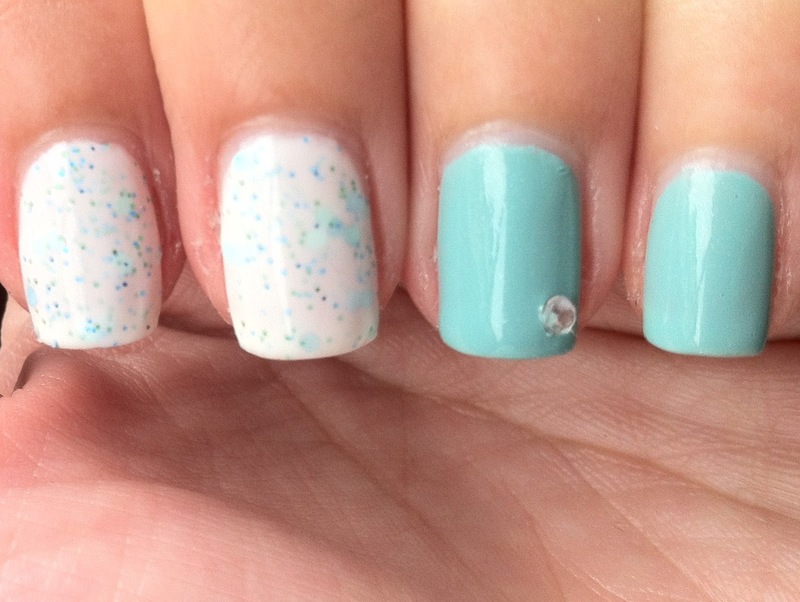 This really is one really easy manicure to do! 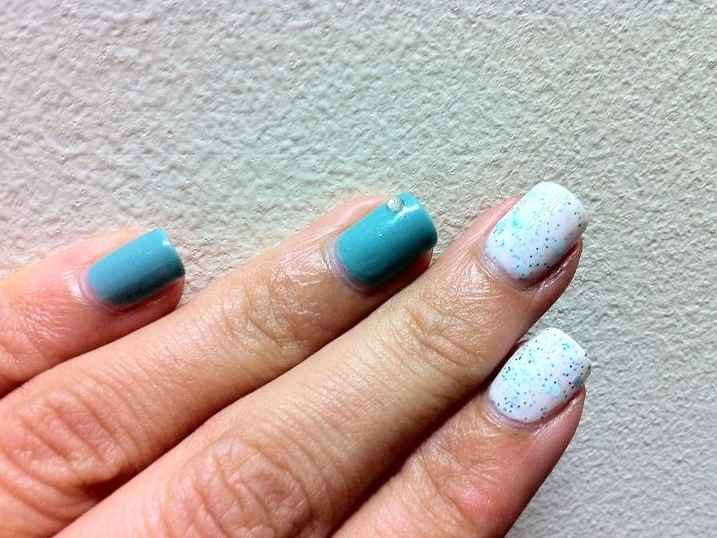 All you need is a bunch of complementing nail polishes, a regular make-up sponge and a dotting tool. 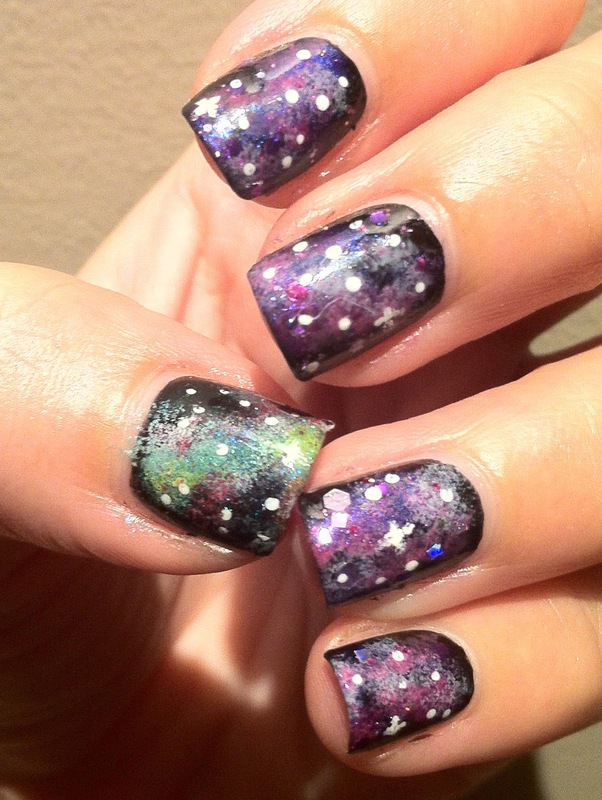 I did not know which way to go with my galaxies and pulled out a bunch of purples and a pink for this challenge. 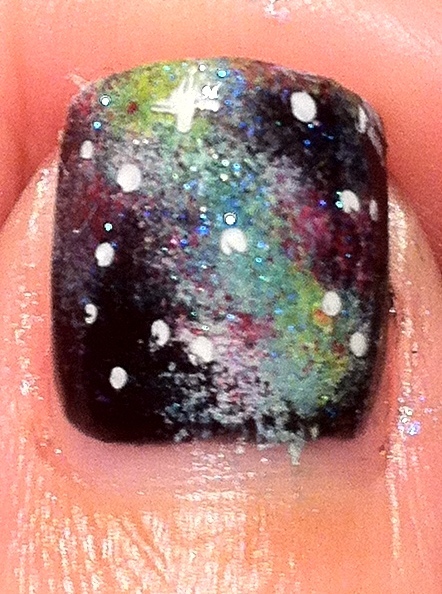 I started with a black base and sponged nebula shapes with my polishes, starting with the darkest tone as the base of the nebulae to the lightest as highlights. After all this was done I decided to add some glitter for glitz. I used Cult Nails Hypnotie Me on the clouds itself and dabbed a bit of Glitzology Purple Rain on the sides for extra oomph! 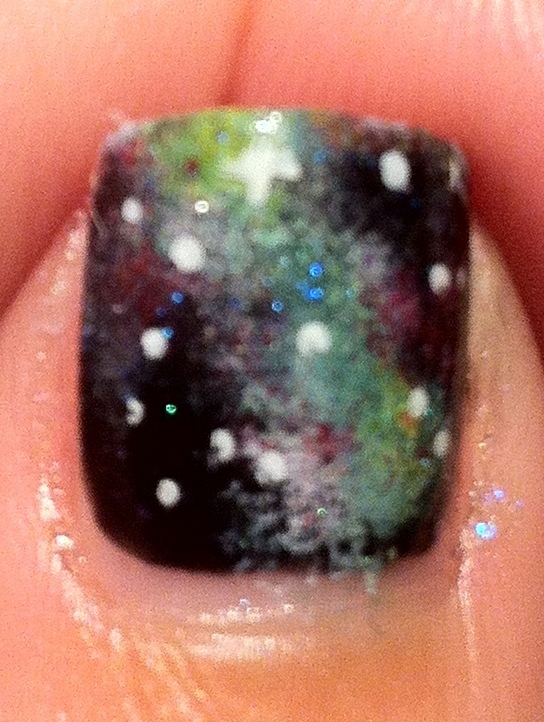 After all that has dried a little I took my dotting tool and some white polish and dotted on some stars. I actually started this manicure quite differently. take a look at my thumb here. 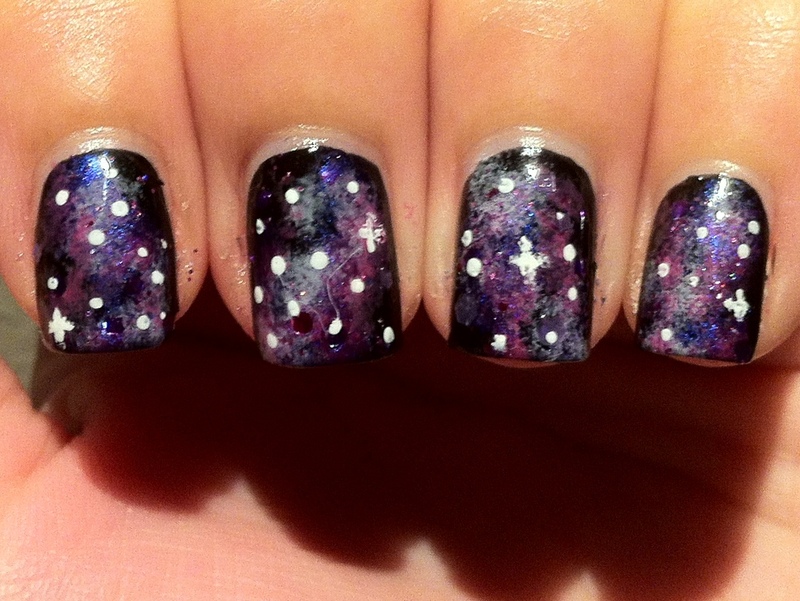 Initially I was inspired by this tutorial at The Daily Nail but changed my mind and did it in purples instead. While editing the photos I thought that my original idea looked pretty cool. And Hypnotize Me really did brings out the greens and yellows I used. 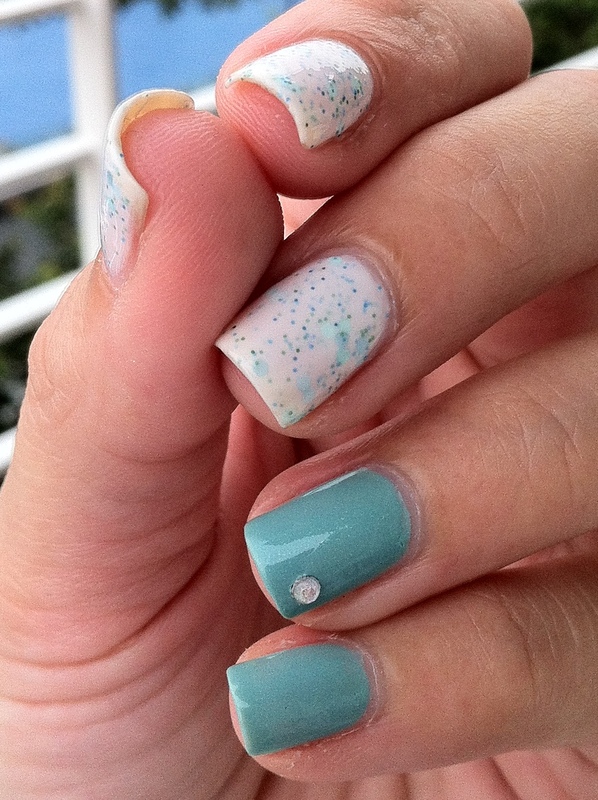 I think I may redo this on all my nails one day. What do you think? 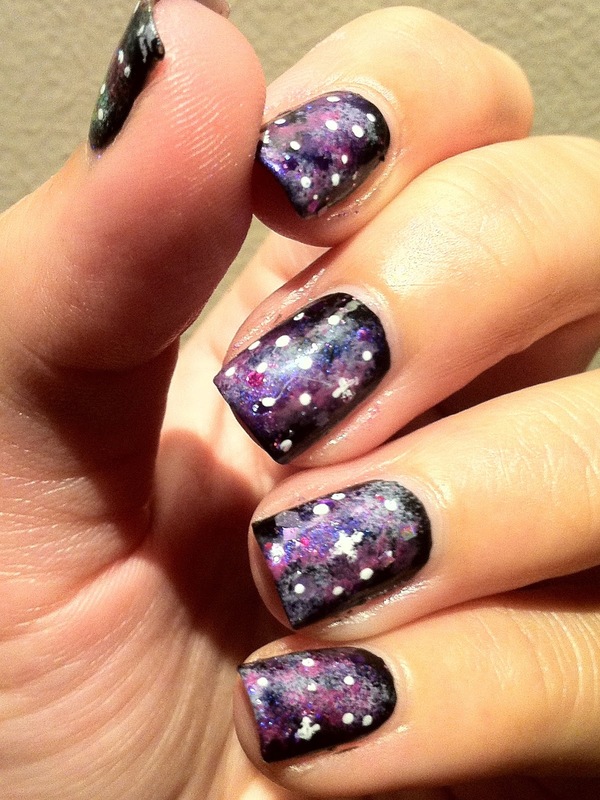 Do you prefer the purples or is a multi colored nebula more your cup of tea? 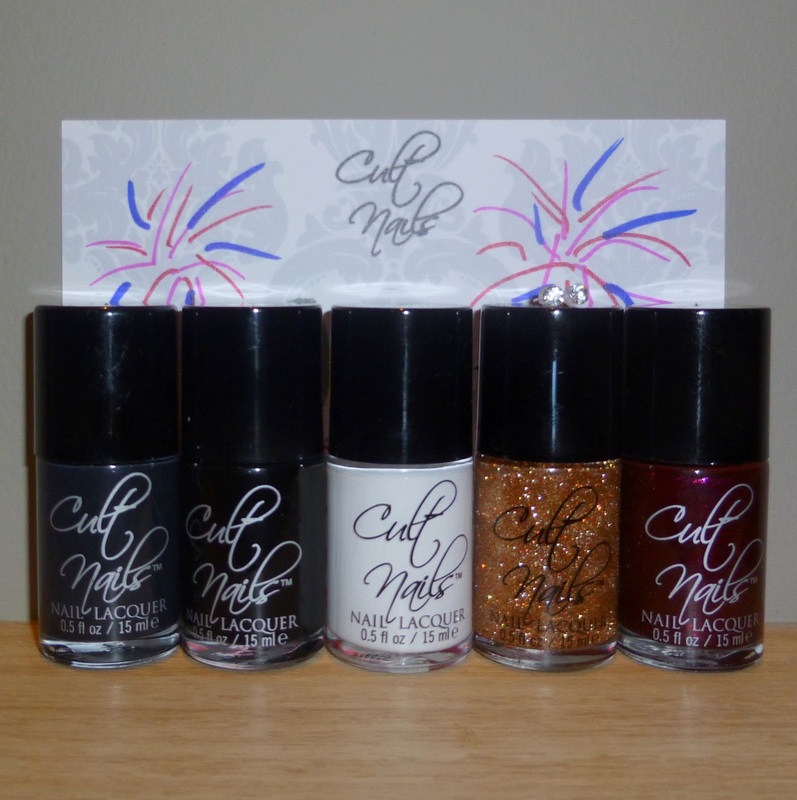 I have another Cult Nails polish for your viewing pleasure today! This time it’s less showy and more appropriate for Monday. This is Scandalous from the Cult Nails Divas and Drama collection. 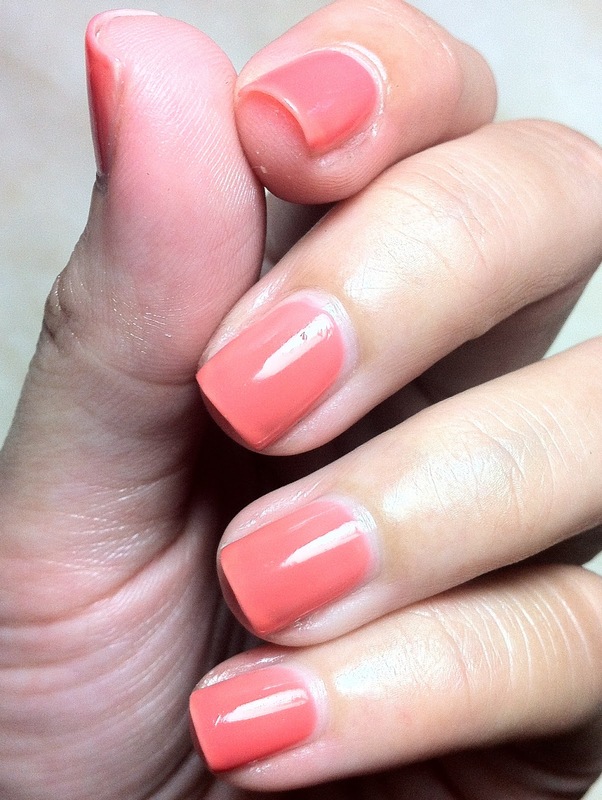 It is a nice pale pinkish-coral polish. I initially purchased Scandalous because it resembled Starfish-Patrick by Rescue Beauty. 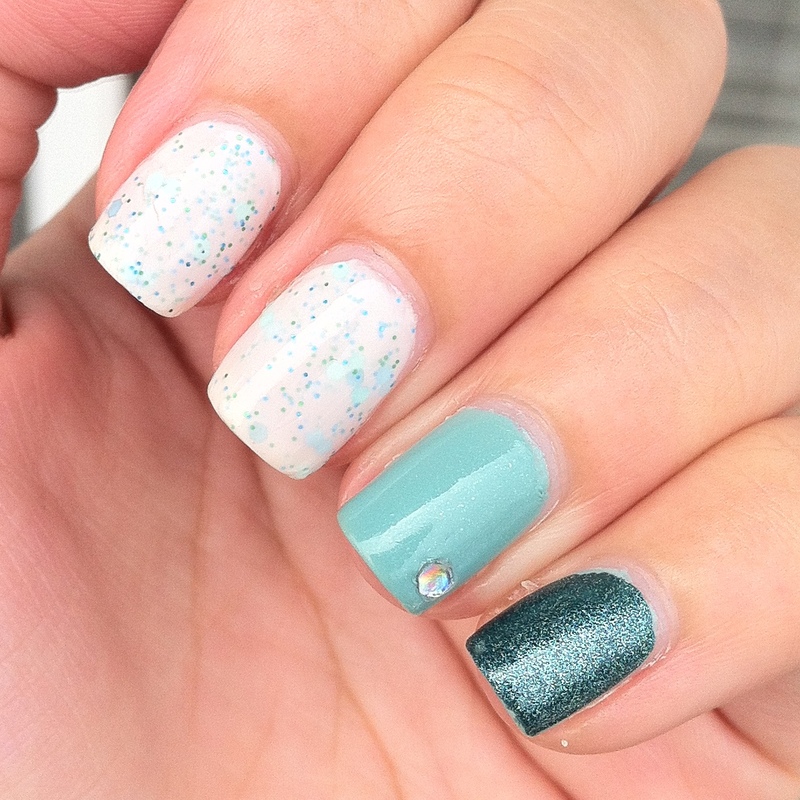 The reason for I choose Scandalous over Starfish-Patrick is because Cult Nails polishes are half the price and so far has delivered polishes with awesome formulas! The formula of Scandalous was really interesting. Upon application of the first coat, I honestly thought it was going to take F-O-R-E-V-E-R to make it opaque because it seem kind of jellly-like. 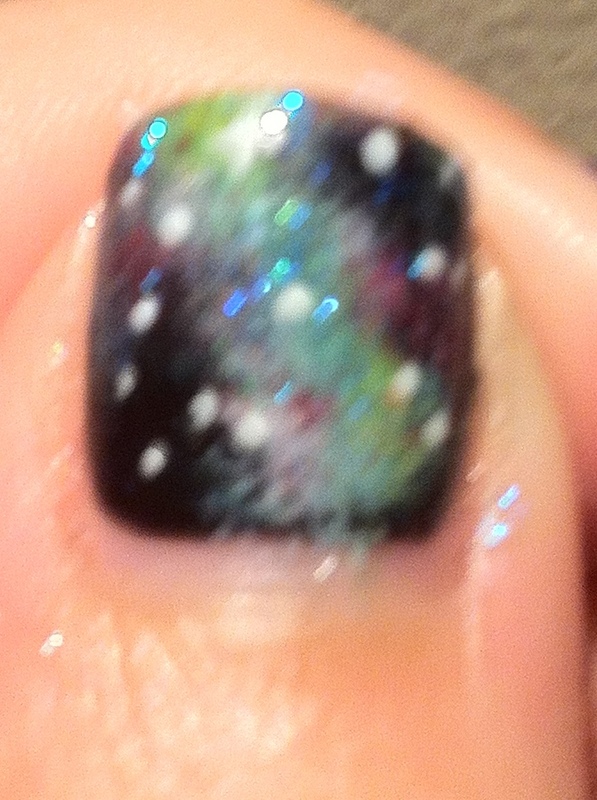 But surprisingly it took me only 3 coats to reach the opacity in the photos here. I do have to say though, my VNL is not as obvious as it is in these photos. Camera and lighting problems I guess. 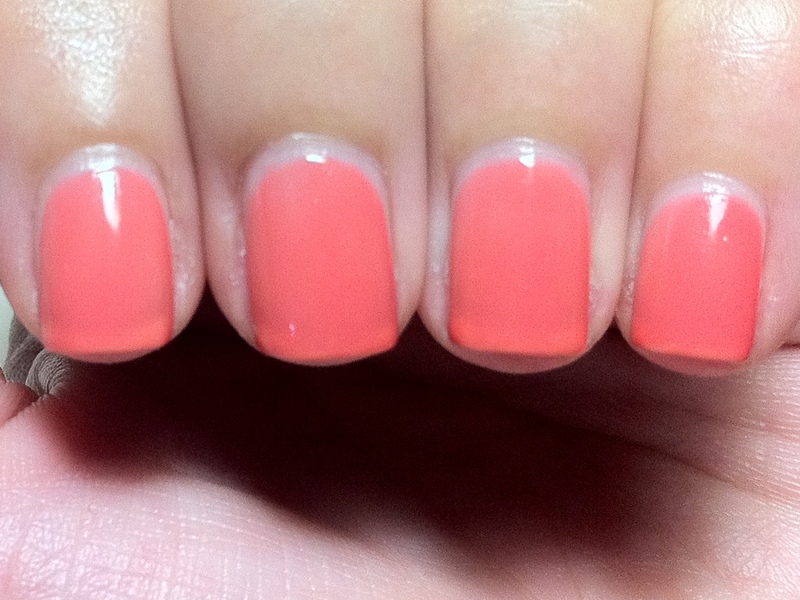 Initially I looved this polish a lot on me. 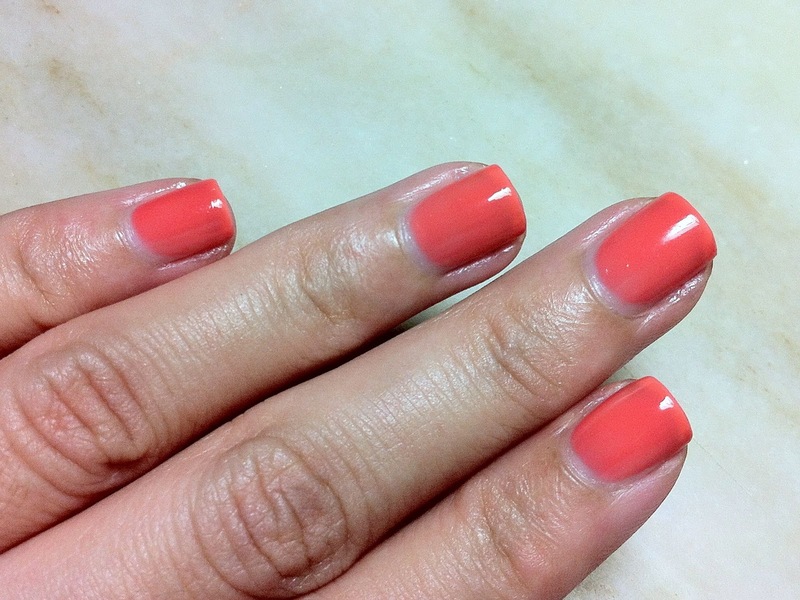 But as I continued to wear it, I noticed that the color changes to a nice soft coral to pink. Don’t get me wrong, it still is a gorgeous color! It’s just that pink isn’t really my thing. Especially light pink. It’s alwasys a no-go for me. It always makes me look like I have lobster hands. One more thing, aside from looking pinkish, Scandalous also turned neon on me! LOL! Tres weird!